Help Mecha, Mecha will help you. Random banner selection. 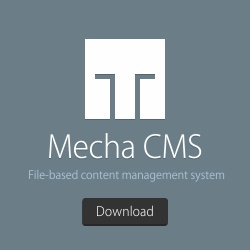 Put this banner on your site to tell people about Mecha.